For daily printing jobs, the Canon i 9100 performs brilliantly. Undoubtedly your Canon i9100 will consume all of your printer ink, and when that happens you'll discover that new Canon i9100 ink is often quite expensive. You do not need to waste your time worrying about paying the steep costs you'll get on the high street because now at Cartridge Save you can buy all the Canon i9100 cartridges you will want at ultra competitive prices. Save cash on your ink by shopping at Cartridge Save! Why pay high prices for the i-9100 original cartridge or i9100 compatible ink down the high street when it is much more straight forward to save a pile of cash buying with Cartridge Save. You get full satisfaction when you order your Bubble Jet i9100 ink cartridges from us seeing as every one is guaranteed by a cast iron money back guarantee. Bear in mind the fact that each order also has free delivery, generally arriving at your address the very next business day! 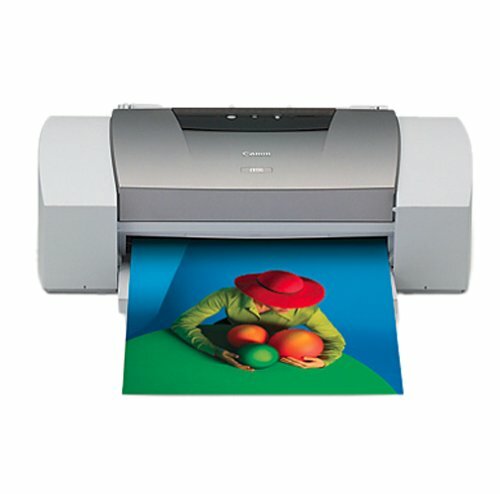 A Canon printer could actually be a fine addition to your current home set up and the Canon Bubble Jet i9100 is a very good example of the kind of quality which Canon currently offers, often at a very reasonable price. Here is a brief review of the Canon Bubble Jet i9100 and everything this item brings to the table. The design of the Canon Bubble Jet i9100 is certainly worth noting and though it is very rare for a printer to be pleasing on the eye, the Canon Bubble Jet i9100 has clearly been put together by a team with decent design knowledge. A subtle two tone grey finish is offset by a square, angular body, making for an unassuming and attractive item. The cost effective nature of the Canon Bubble Jet i9100 is perhaps the most beneficial aspect of this item. A Canon Bubble Jet i9100 can be picked up fairly cheaply online and the print outs that you can create with this machine are certainly impressive enough to warrant the initial outlay. The Canon Bubble Jet i9100 does have its limitations, but it is still a very effective, highly affordable product and not every printer can boast both of these credentials. Canon printers are still very much top flight machines and the Canon Bubble Jet i9100 might be affordable, but it is by no means cheap in the traditional sense of the word.